Drama has been in its present location ever since the late 5th millennium BC, on account of its abundance of water and its lush surrounding plain. Its prehistoric settlement was found in the neighborhood of Arcadikos. Drama in the Prehellenic Period was inhabited by Thracians. During the Archaic Period, the region developed commercial relations with Greek colonies of the Thracian and Macedonian coastlines. In the mid 4th century BC, Philip of Macedon included the region of Drama into the Kingdom of Macedonia. At that time, the town was probably in its current location. A host of archaeological artifacts testify to the worship of the god Dionysus. In the Roman Period, Drama was dependent on the Roman colony of Philippi, founded in 42 BC. 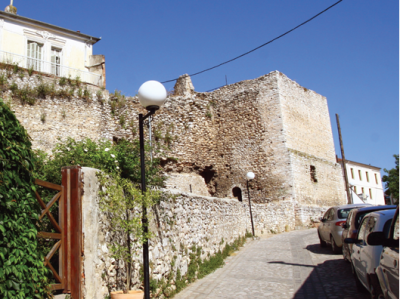 During the Byzantine Period it was a small fortified town. Between the 9th andthe 13th century AD, it gained commercial and strategic importance. It was then referred to as Darma, Dramme and “Trachmis”. From 1206 to 1223/4, the town was at the hands of the Latins of the 4th Crusade. Between 1354 and 1371, it belonged to the Kingdom of Serbia. In 1383/4, it was conquered by the Turks. From the 18th century onwards, begins the farming of tobacco in the area of Drama, bringing great economic growth. This growth is testified to the present day by the tobacco warehouses and grand mansions of its former tobacco merchants. At the peak of the Macedonian Struggle, Chrysostomos of Smyrna was elected Archbishop of Drama; he later became a national martyr and saint. He restrained the terrorist activities of the Bulgarian revolutionary committees and ensured the continuation of the Greek education, while erecting imposing school buildings in Drama, Doxato, Prosotsani and elsewhere. Drama was occupied by the Bulgarians in October 1912 (First Balkan War) and then liberated by the Greek army on July 1st, 1913 (Second Balkan War). During World War I, the town underwent a second painful Bulgarian occupation (1916-1918). In keeping with the implementation of the Treaty of Lausanne an exchange of population was conducted in 1923. The Muslim population of Drama left the town and refugees arrived from Thrace, the region of Pontus and Asia Minor. 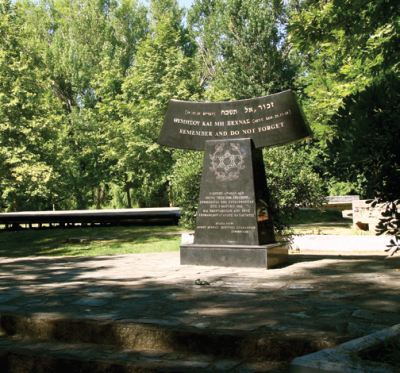 During World War II, Drama suffered a third cruel Bulgarian occupation (1941- 1944), which led to the slaughtering of its residents and of those of its wider area, in September 1941. During this same period, the Jewish population of Drama was exterminated. Today, Drama counts 44,823 inhabitants (2011 census). 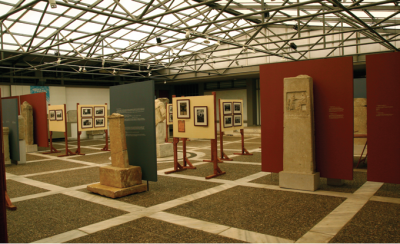 The Archaeological Museum of Drama covers chronologically the human presence in the District of Drama from the Middle Paleolithic Period (50.000 years ago) up to Modern Times (1913). The Municipal Garden of Drama is a remnant of the large forests that covered the region in ancient times and is mainly characterized by its abundance of water and its age-old plane trees. 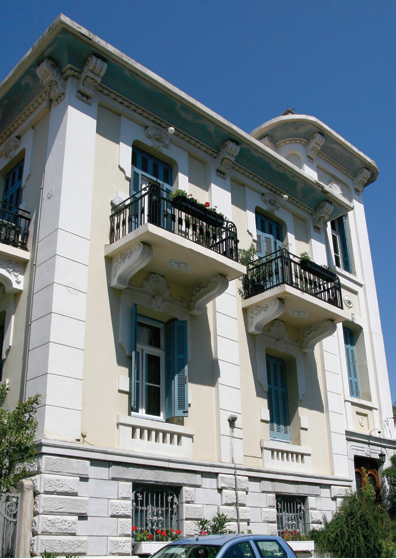 This building is located in the center of the town, on the Southwest corner of the Eleftheria Square. 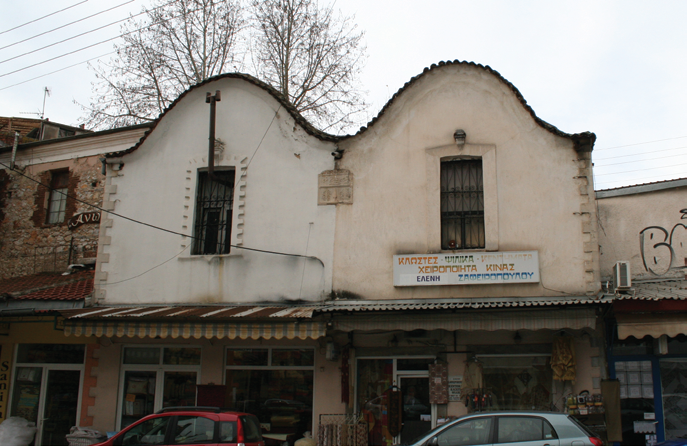 During the Turkish occupation it was called “Eski cami” (ancient mosque) or “Çarşı cami” (market-place mosque). The original building was built by Sultan Bayesid II (1481-1512). 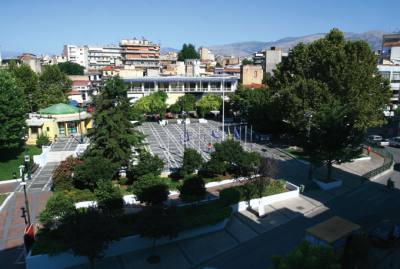 The “Eleftheria” Square took its current form after a fire which, in 1915, burnt down the wooden shacks that had occupied this area until then. 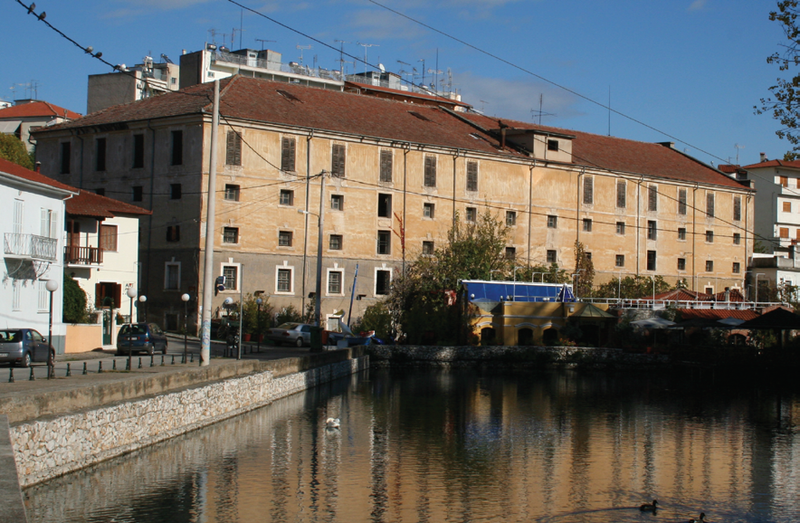 From the square began the two main arteries of the town, Venizelos Street and Megas Alexandros Street. The former led to the Greek quarter of town. 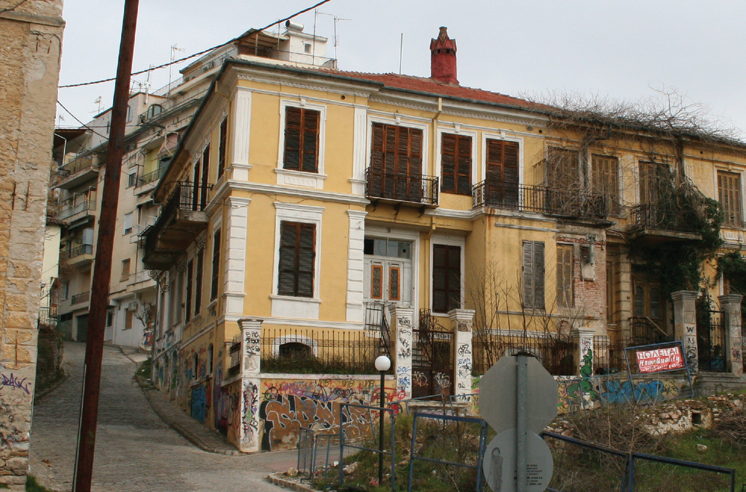 Megas Alex-andros Street (or by whatever name it was then designated) led to the Turkish neighborhoods. 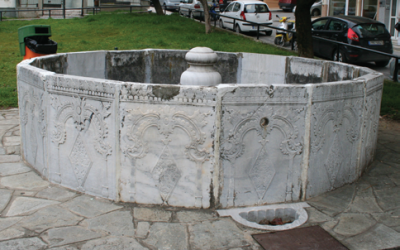 Among the mosques that have been preserved to this day in town is the “Şadırvan cami” (Şadırvan means fountain of ablution in Turkish). The wall paintings preserved since the 19th century on the mosque’s porch are of importance to the town’s modern history, as they represent what may be a picture of Drama (in the form of a paradisiacal town). 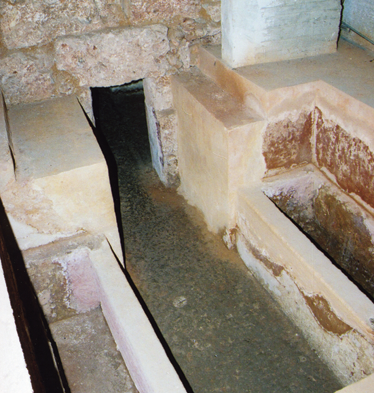 The Hellenistic tomb at 1 Troia Street is a monumental Macedonian type vault used from the last decades of the 3rd to the middle of the 2nd century BC. It consists of a sloping path, an antechamber and a burial chamber. The former shelters significant wall paintings, which imitate the masonry, bullheads (“búkrana”) and six-leaf ro-settes, and the latter three masonry sarcophagi. The artifacts of the tomb (coins, jewelry and pottery) confirm the relation of Drama with the rest of the Hellenistic world. Around the location of the fountain, in the period of the Turkish Occupation, there were the court of justice, the prefecture and the prison. Together with the “Arap cami”, they formed an entity that characterized this area as the administrative center of the town. The “Arap cami” is a rectangular stone building with a porch on the Northwest side and three arch-shaped openings. During the Ottoman Period there were other Muslim mosques, baths and seminaries as well. “19th May Street” (formerly called Kennedy Street) is an important commercial street of the town, created following the decision to cover the Monastiraki riverbed in the 1960s. It is also called “Tsai” or “Rema”. 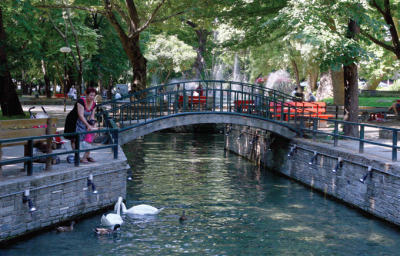 The riverbanks were at various times joined by bridges, largest of all being that of Venizelos Street (which is believed to be the “bridge of Drama” mentioned in a fa-mous Ottoman folk song). Very often the “Tsai” would overflow and this is why the river was covered over. 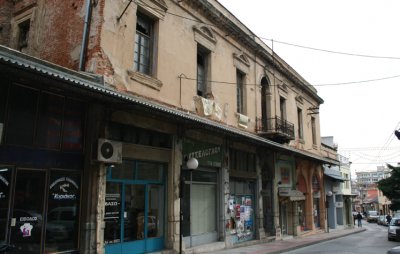 Venizelos Street has always been a landmark of Drama, because until the 1960s it was its most central and commercial street. The town was originally built around this street, which started at the East gate of the Byzantine town and ended on the West side. This is where most of the town’s inns, restaurants, hotels, cafés, taverns and the cinema were situated. The Great “Taxiarches” (archangels) chapel was built in the place of an older construction, remains of which were used in the new building. It is a single-nave basilica with a tiled roof. The painted decoration featuring the circle of the Crucifixion with archangels Michael and Gabriel, partially saved in the Sanctuary and on the South wall of the main temple, dates back to the first two decades of the 14th century. 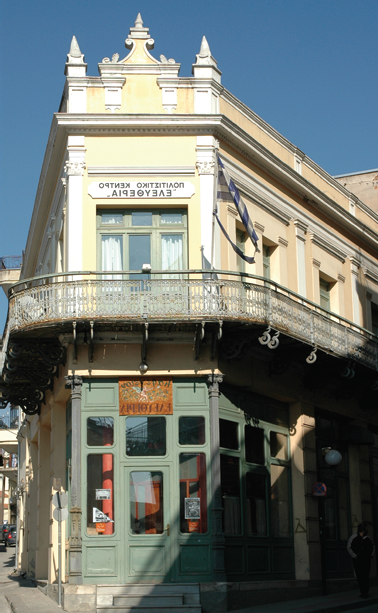 The café “Eleftheria” was built at the beginning of the 20th century (1906- 1907) by the Greek Community of Drama at the intersection of today’s Venizelos and Kountouriotis Streets. After the liberation of the town it was given the name “Eleftheria” (Liberty). On the west side of Kountouriotis Street one can see a segment of the East Byzantine walls and the back of the lodging inns, the front of which looks on Venizelos Street. Quite a few of them were built during the Ottoman Period. 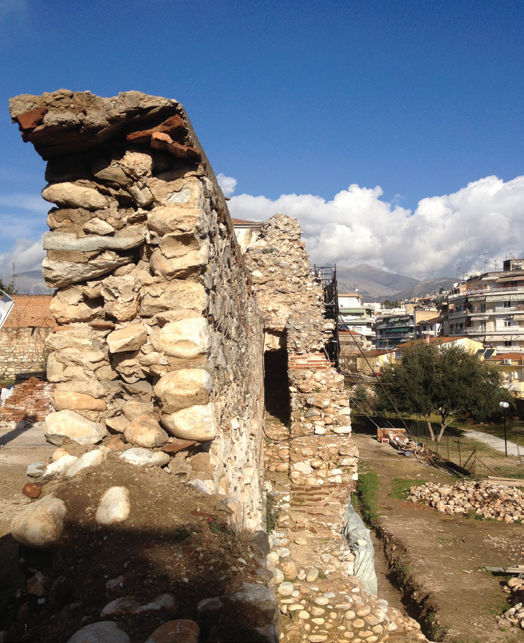 The Byzantine walls of Drama date back to the 10th century. Their perimeter was of about 850 meters and included two gates and at least five towers. On a tower of the East side of the walls there was the town clock until 1945. 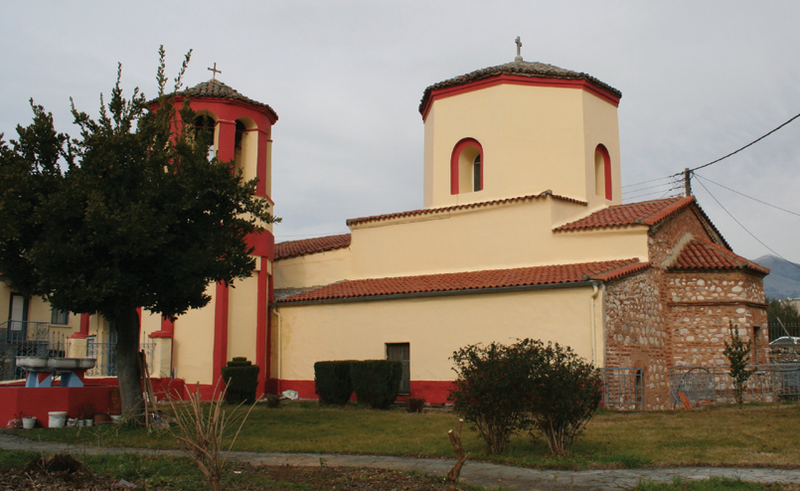 St. Sophia is the oldest preserved church in town. During the Byzantine Period it was dedicated to the Assumption of the Virgin Mary. In its current shape, it consists of the Byzantine core situated at approximately two meters’ depth below ground level. The Byzantine church is a transitional style domed basilica with a peripheral gallery, of masonry similar to that of the Byzantine walls. It dates back to approximately the 10th century. This imposing building is known as the “Bumburas’ residence”, after the name of its first owner. 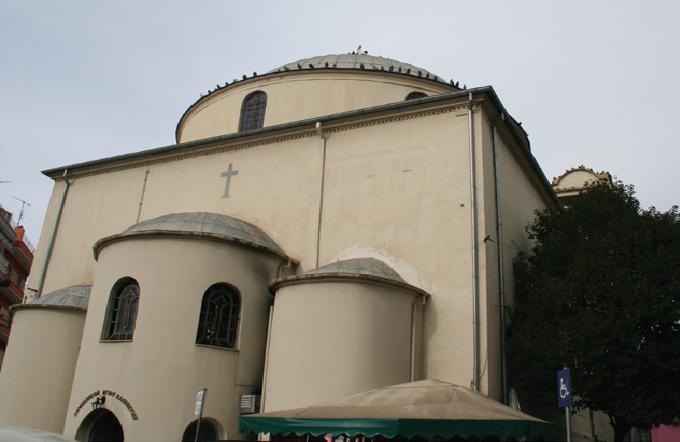 It is a rare and outstanding work of art, built between 1926 and 1927 next to the church of St. Sophia. 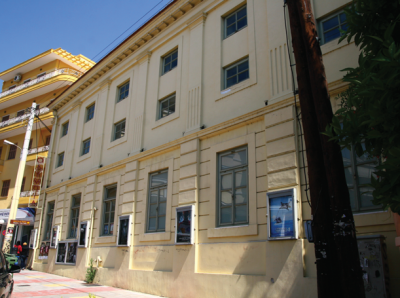 The “Olympia” cinema is located on Venizelos Street. It used to be the property of the Israeli community of Drama. It opened at the beginning of the 1920s under the name “Megas Alexandros” or “Megas” and was renamed “Olympia” in 1940. 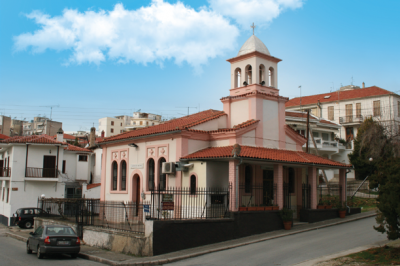 The Old Cathedral of Drama has been saved in part next to the new metropolitan church and is dedicated to the “Entry (Eisodia) of the Mother of God (Theotokos) into the Temple” (i.e. “Presentation of the Blessed Virgin Mary”). Formerly in its place there was a Byzantine or Early Post Byzantine church, which was renovated by metropolitan bishop Parthenios in 1721. It falls under the category of the three-nave basilicas with a two-pane roof. 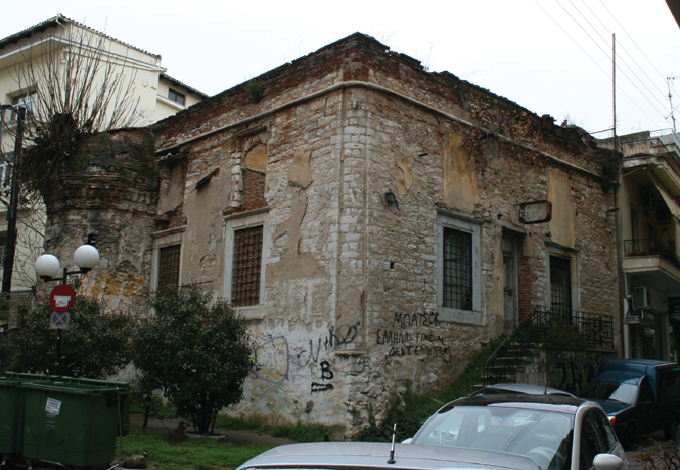 The Ecclesiastical Museum is housed in a fivestorey building, a wing of the Episcopal Edifice of Drama (at the end of Venizelos Street). It was founded during the primate-ship of Metropolitan Dionysius (1965-2005). Most of the ecclesiastic treasures exhibited come from the heirlooms brought along by refugees from Asia Minor and from the Pontοs in 1922-24. The “Ekpaedeuteria” School of the Greek Orthodox Community of Drama is located on Dimitrios Gounaris Street. 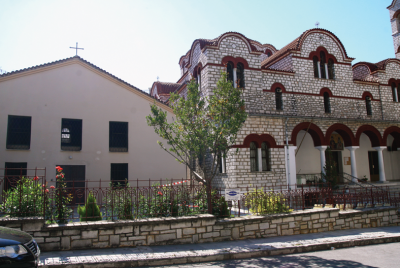 It was built in 1908 by bishop Chrysostomos, and funded by the residents of Drama and the Pavlos Melas family. It was completed in 1909. The “Ekpaedeuteria” School was an important monument for Chrysostomos’ activities in the region during the Macedonian Struggle. On the Southeast side of the school yard, there is a marble statue of the national martyr bishop. 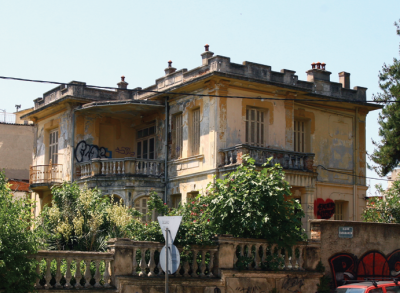 The “Mansion” was originally the ownership of tobacco merchant Pamboukas. It is one more example of the eclectic architecture of the late 19th and early 20th century. 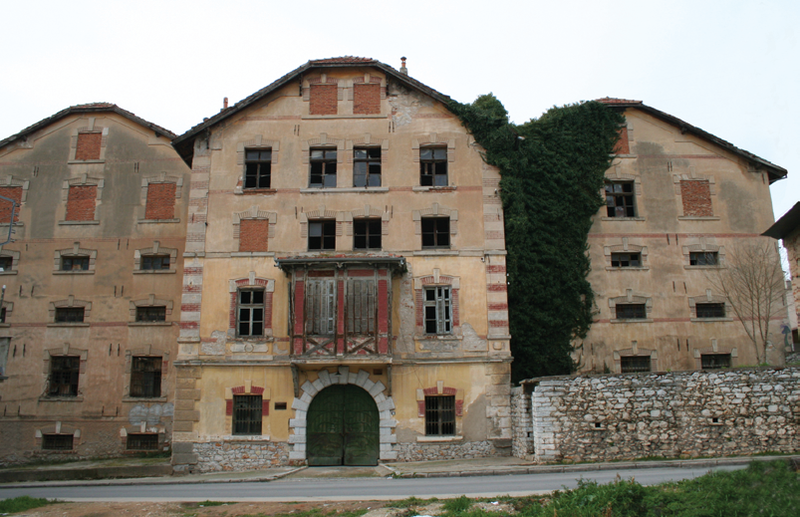 At the end of 19th and at the beginning of the 20th century the farming of tobacco in Drama increased significantly and, therefore, new buildings were constructed, notably the warehouses. A large and impressive tobacco storehouse, work of Austrian engineer Konrad Von Vilas, is situated at 10 Perdikkas Street. It is one of the most important remaining industrial buildings of Drama’s peak. The faces of the building show a Central European influence and Art Nouveau features. The exquisite mansion that overlooks Taxiarchia Square was built in 1925 by Konrad Von Vilas for tobacco merchant Andreas Tzimos. 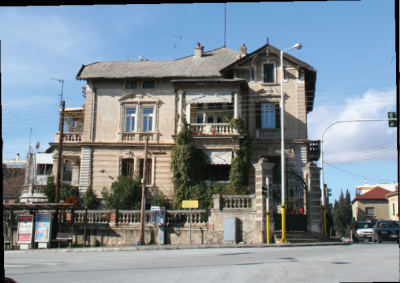 It is a perfect example of eclecticism, with features of the Central and Eastern Macedonian, renaissance and baroque styles, but also from Central Europe. 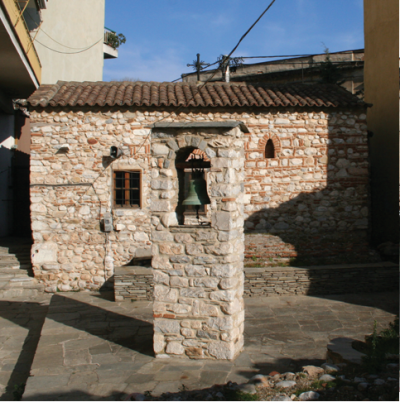 Perpendicular to Perdikkas Street and to Venizelou Street, there is a network of narrow ancient traditional passageways which lead to the springs and to Hagia Varvara church. Until 1950, many of them were paved with uncut stones from torrent beds. 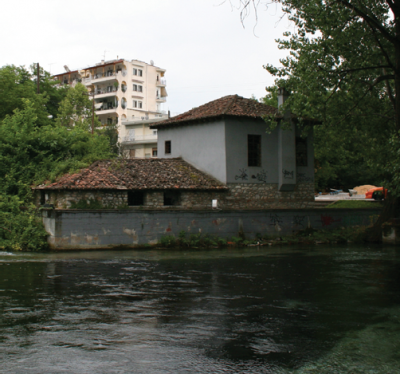 In these alleys, visitors can admire numerous preserved old Macedonian style dwellings, mansions and tobacco warehouses. Next to the lake there is a small church dedicated to patron Saint of Drama, Hagia Varvara, celebrated on 4th December. On the day before the Saint’s name day, in the evening, children leave small boats decorated with candles lit in honor of the Saint on the surface of the main pond. This is also where the whole town gathers to watch the immersion of the Cross on the day of the Epiphany. As a town, Drama owes its origin to the springs of Hagia Varvara, an all-time land-mark. It was the water of these springs that attracted prehistoric nomads and that inspired their initial settlement on its banks. 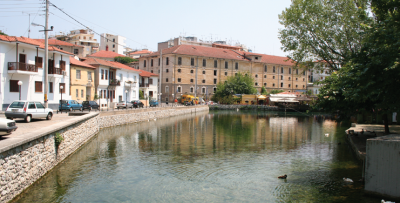 In the area there are two ponds built by craftsmen from Epirus. 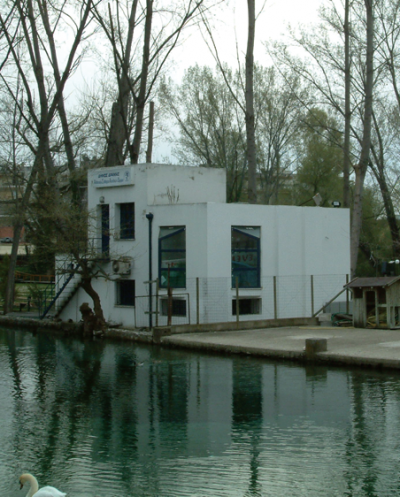 The vicinity of the lake has tobacco warehouses which are monuments of Drama’s history. Today this location is the center of the town’s cultural life. The large number of watermills in Drama is due to the abundance of water sources, especially in the area of Hagia Varvara. At the beginning of the 20th century, it is estimated that there were fifteen of them. Nowadays there are three watermills left on the South side of the springs (the Zonke, Pandoulis and Dimiropoulos watermills). In 1999, the “Monument for the Greek-Jewish Victims of the Holocaust” was built next to the small open-air theatre. On 3rd March 1943, the Bulgarians gathered the Greek-Jewish inhabitants of Drama in the Joseph Faratzi tobacco warehouse and from there began their torturous march to the extermination camp of Tremblika II in Poland. 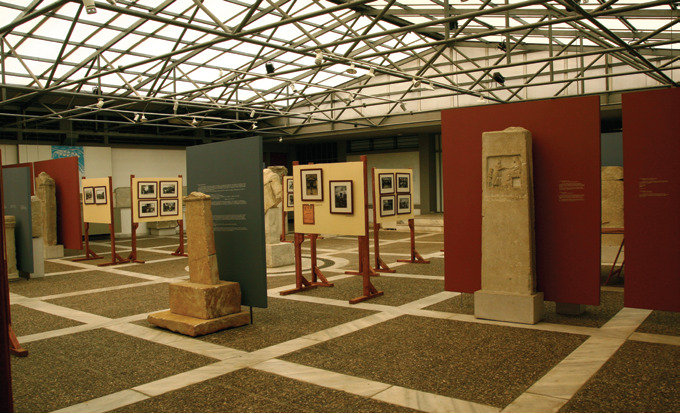 The Visitor Information Center is located in the heart of the Hagia Varvara Springs area in a building belonging formerly to the Hellenic Railways Company. The old building was constructed in 1895, at the same time as the Railway Station, and was used for a century as a pumping station providing the Hellenic Railways Company with large quantities of water. The Herman Spierer tobacco warehouse on the north side of the lake was built in 1925. Its construction by Konrad Von Vilas caused great controversy due to its considerable height. 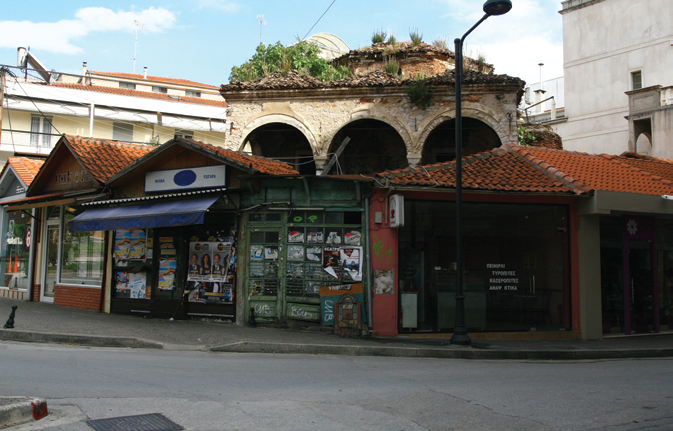 The neighborhood of Hagia Triada is on the North edge of town. It took its name from the church with the same name and during the Ottoman Period it was inhabited by the Muslim population. Back then, the building used to be a mosque and was called “Kursun cami”. 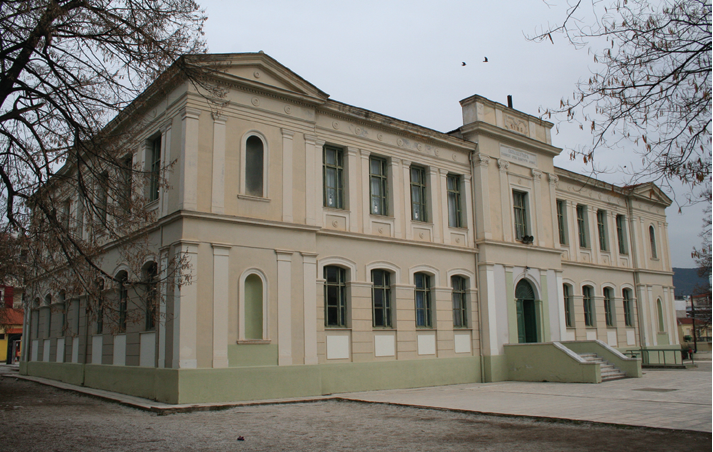 The Child Protection Center of Drama (Orphanage) is located in what used to be the Turkish secondary level school (Rüsdiye). 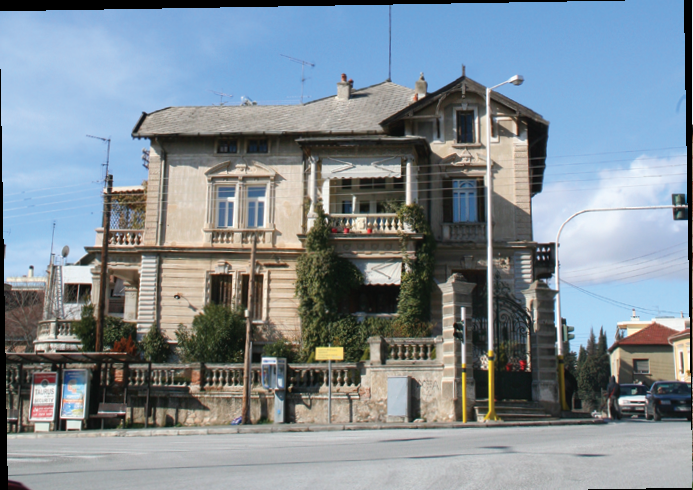 It was built according to the blueprints of architect Konrad Von Vilas before 1910, on today’s Hippokratis Street. The former military hospital used to be a Turkish school as well. 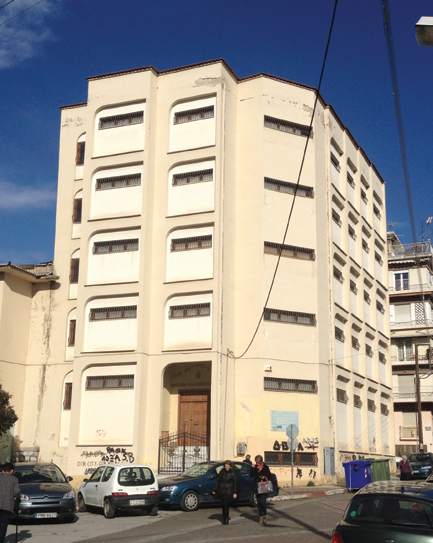 The Boys High School (Gymnasion Arrenon), an imposing two-storey building and one of the most beautiful school buildings in the country, was built at the Northeast edge of the town of Drama, at the end of Mitropolitis Chrysostomos Street. Its construction began around 1927-28 but the school started functioning only at the beginning of 1935. The road that leads to the orphanage also leads to today’s local hospital and from there to the hill of “Korilovos”, which locals use for their outdoor athletic activities. A study based on excavations made in recent years seems to indicate that there must also have been a church and a monastery at the top of this hill during the Byzantine Period. 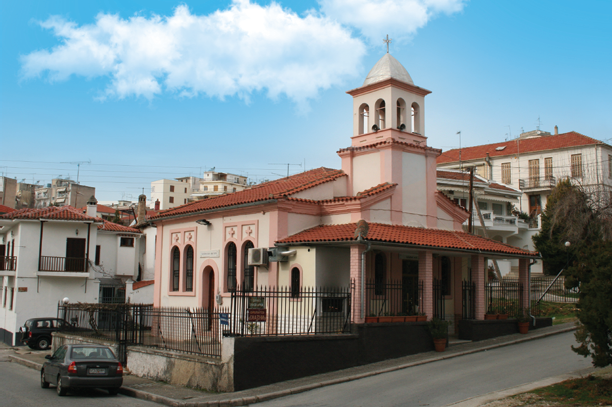 Euxinos Pontos Street leads to the “Park of Komnenoi”, which took its name from the town’s older Pontian association. This park includes a memorial to the victims of the Pontian genocide, as well as the cemetery of the Pontian community. The “Victory of Drama” is located in the vicinity of the Kalifitos torrent, opposite our town’s City Hall. It was created in 2013, within the framework of the celebration of the centenary of the Liberation of Drama, by the internationally renowned local sculptor Pavlos Kougioumtzis. The Railway Station: The largest railway network in Macedonia was built in the late 19th century by the “Jonction Salonique – Constantinople” Company. The Railway Station of Drama built in 1895 is considered to be the “Jonction’s” best station ever. The end of the 19th century coincided with a period of significant growth for Drama. A new social class wanted to build private mansions of stone masonry. The last quarter of the 19th century witnessed the emergence of the influence of Neoclassicism, an artistic movement that prevailed in Europe from the 18th century. The demand for cooperation with foreign engineers and architects brought several important professionals to Drama. Among them was Austrian engineer-architect Konrad Jacob Joseph Von Vilas, who actively contributed to the construction of buildings for commercial use – notably the tobacco warehouses – but also to that of private homes in Drama. 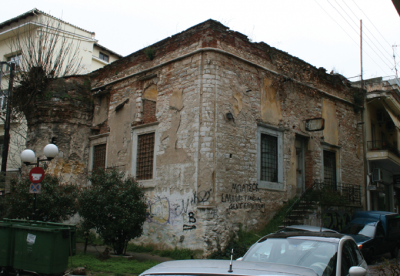 Today, one can admire splendid samples of architecture that have been preserved in the neighborhood of Hagia Varvara and on numerous streets: 25th March, Koun-touriotis, Gounaris, Skordas, Averof, Vorios Ipiros, Venizelos, Hagia Sophia, Megas Alexandros and many other locations in town.